Ausbildung, Landwirtschaft, Gesundheit und Umwelt - Komm und hilf uns in Nepal! I am Ajay age of 38, I am founder and Principal of our academy, and involved in various clubs and actively attached with social services in our community. I have a Master's Degree in Political Science, and in English Literature from Tribhuvan University. I have been teaching for fifteen years. 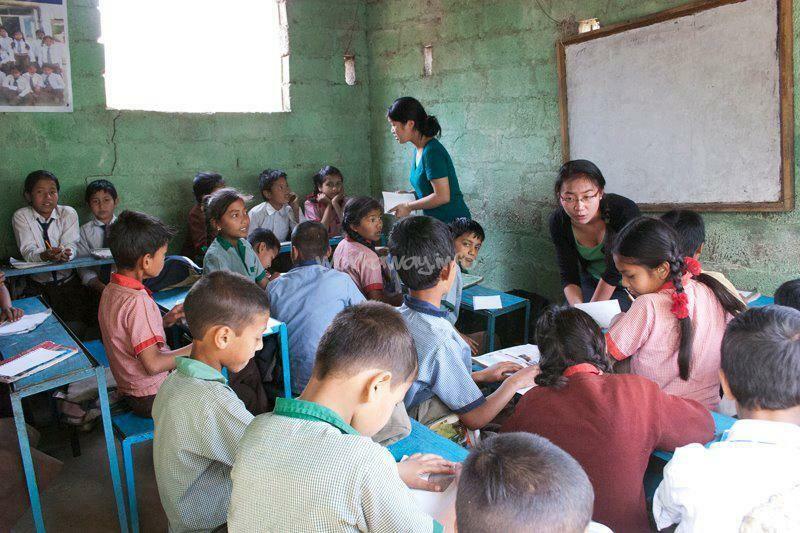 Recently, established trekking and tour agency , working differently to educate disadvantaged children. The profits go directly for the development of school project. I founded the academy in 2007 after a final wish from my father, who was a pioneer in bringing English education into rural parts of Nepal. Sadly during the political crisis his school failed and he asked me to continue his dream of bringing education to all to develop communities. Our academy is a government registered English medium Secondary level school located at small valley, Khanikhola , Dhading. Khanikhola is around 11 hundred meters from sea level with a comfortable climate. Our place is one hour drive from Kathmandu ( 25 Kilometers) and on the way to Pokhara. We currently have 300 students that range from nursery to class 10 (age 4-18). We want to develop our community by educating young people through active involvement in education, women's issues, waste management,health, agriculture, languages, cultures, lifestyles, music, games and sports, the environment and its sustainability. After the earthquake last year (2015) we have faced many challenges. The village of Khanikhola and our students homes were badly affected, Our Global Home in the countryside, which was saved from the devastating earthquake, a base for volunteers and my family. • We provide qualitative education to both underprivileged and privileged children irrespective of colour, creed religion and castes. Further, the students get ample opportunities to achieve their goals, establish social norms and values, and develop moral character in this ever changing world. At the academy, we believe in an education based on proper caring, counselling, love , positive thinking with a rounded curriculum. Our curriculum is based on significant lessons of mental and spiritual well-being, a direct involvement with nature to learn about sustainability of the environment, as well as music, sports, personality development, elocution, organic farming, project work, poetry, scouting, creativity and services that have been provided to the students by utilizing limited and locally available resources. At the Academy we provide our students the tools to unlock their potential and the freedom to explore the success in life in this ever changing world. The wealth of skills, knowledge and experiences that are brought by volunteers really builds a multi-cultural link for our students with the wider world. We welcome volunteers with mutual understanding, cooperation and a willingness to share food, cultures, lifestyle, languages, skills. Therefore creating a worldwide network. We also run The Great Mothers Programme to empower our students mothers within their home and community. We have been teaching 15 mothers to stitch along with other skills to develop family management and waste management, all working for poverty alleviation. • Yale University's Service Project "Reach Out Spring Break Trip 2012". had been successfully completed their Trip at our Academy which helped students to learn many valuable lessons. •	11 Gold medals at school-level Wushu games and 1 Gold medal in National Wushu Championship, including the best player award. We have excellence performance in educational activities by using limited resources. We are curious , friendly hosts and provide a traditional family experience for our volunteers. We hope to broaden our mutual understanding of other cultures, languages and lifestyles and share ideas to make our academy a success. 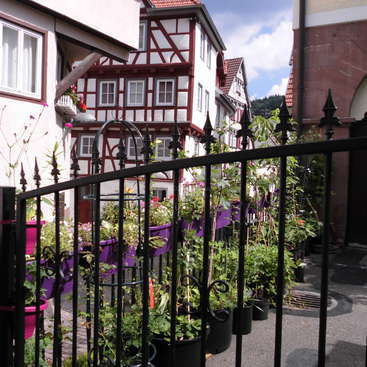 Your experience with us will be friendly and peaceful and give you a real insight into village life. If you have an idea or skill you would specifically like to share with us then I would love to hear about it. There is also the possibility of teaching in your own language. Our student body consists of students from different castes and village cultures. We are happy take you on visits to the different villages and beautiful places in the surrounding countryside. Volunteers can work in our school teaching languages, support students in class rooms. We have a simple organic farm at our house that requires regular attention and care. we have included agriculture and environmental science in our curriculum to ensure their success. You may have the opportunity to work with parents and students on their farm, which supports their education. We have work around our home, cleaning, gardening and building. We have many different volunteer opportunities and duties that change around the year, as well as the opportunity to exchange cultures, lifestyles, languages. Please specify the areas you are interested in when you inquire and I can try my best to accommodate you. You will stay with me and my family in our global home which was supported by our growing global community in the countryside, with a cosy, basic room to sleep. We eat simple Nepalese foods, mainly Daal, bhat which is curry with organic vegetables. We will provide simple meals for our volunteers. Some seasonal fruits which grow in our community which you may purchase if you wish. The village is set in the rural countryside of Nepal, we can advise you on short walks you can do in the area. We will go out of our way to include you in our family life and routine and any festivities that may be taking place. The success of our school and volunteer dedication has enabled us to develop the non for profit, first trekking and tour company in rural Nepal. We can now provide employment opportunities to our former students and a trekking experience for our volunteers. If you would like to trek with us, please ask me for more details. All proceeds of this new venture we will put back into our school and you will be able to see exactly how your money is benefiting our community. We are also trying to build up a school library and global home library and would love it if every volunteer could donate one book for our students to develop. Words can not describe my time at Ajay and his school. I was received with open arms by Ajay, his family and all the children in school. I have a second family in Nepal now!! The students are incredibly interested and smart. The nature around Ajay`s house is beautiful. I was mostly on the road with Emi. She is an incredibly smart and adorable girl, I miss you very much my darling. She has a special characteristics that she can adopt various situations and making the situation comfortable with her full of potentiality. She helped us in painting classrooms, helping at kitchen with teaching activities. We really appreciate her hard work and great contributions towards academy. This is such a special and amazing place and has been my most rewarding workaways yet. When I arrived I was received with warm welcome by Ajay, I loved the conversations in the global room with him..ideas, suggestion, efforts everyday! Bina is a beautiful woman! I always had smiles from her..and delicious nepali dishes of course! Emy, my… read more darling, is one of the best children than I met! I shared unforgettable moments with her! I really miss our walking through the mountains! They treat you as a member of them, and there are always laughter all around! I'm so lucky to have been given opportunity. Definitely I'll return to my second family! We had an amazing time with her and Alex. We still remember them and their presence in overall activities during volunteering. They had established in our family as the family members. Love from Nepal. We wish for their brighter days ahead. We first helped to paint the school and then teach in classes: french, english, math, physics and biology. Most of the students speaks very well english so that everyone will understand your lessons. Even if they chat a little bit (like everywhere in the world), you will not have troubles. Children are lovely, don't be affraid even if it is your first time as a teacher. We strongly recomend this genuine workaway! Time and tide waits for no man. It was amazing time spending with Nola. She is my sister now. She is hardworking, open-minded and good qualities of cultural adoptation. I wish for her bright future ahead. I had two great weeks with Ajay, Bina, their talkative and adorable daughter Emi and their lovely dog. They are very open minded and understanding. Over time, everyone gets tamed and we feel at home. I had the opportunity to spend the Diwali festival with Ajay family, to attend and participate in some rituals - we are now brother and sister. I… read more miss Bina's meals already. My first week was punctuated by painting the school benches (it was holidays), drinking tea, reading and enjoying this wonderful view. Once school was resumed, from 10 am to 3 pm each volunteer was to animate a class of 45 minutes each, with a break for lunch. children and teachers are very welcoming. You have to be prepared to give classes to dynamic and voluntaries teenagers who some are perfectly fluent in English. The rest of the time you can enjoy the village, walk around and help Bina with the kitchen and house working. It was my first work away and if you want to learn more about their culture, to be immersed in their daily life but also have time for yourself, it’s the perfect place to go. Slow and steady wins the race. As I was a bit difficult for her to participate in common goal because of many factors, in a couple of days, we are entirely adjusted in working together. She has amazing impressions of her performance in all rounded motives and superb cultural adaptation. We wish for her… read more bright days ahead. I was almost three weeks and it was an amazing experience. It was my first workaway do I didn't know what to expect but Ajay, Bina and Emi were very welcoming. I never taught in a class before so for me it was a little bit difficult at the beginning. But they are very flexible so soon I became more confident and comfortable. And the kids are… read more amazing. Even though some of them live some difficult situations, they are really eager to learn. I got the chance of knowing Ajay's motivation about the project and I really admire how regardless all the obstacles he had in his life, he put all his soul into this project in order to give all the kids an opportunity. For me, this workaway gives you the chance of kearn a lot in different areas like devolping your teaching skills or learning about local culture. But in my case specially I learn about life as well and I found some peace. It was our true experiences with the matured people and they helped us at school and actively participated in cross- cultural activities. we found our other family in global community. They have smart cultural adaptation abilities and amazing experiences with mutual cooperation. We wish for their bright future ahead. We spent two weeks in Khanikola and had a lovely time. We taught English, Health and gave environmental lessons for Level 9 and 10. The children were lovely and keen to learn new things. We also apreciate that Ajay, Bina and especially their daughter Emi were nice hosts and helped us with issues in and outside the school even though they were very… read more busy with the school issues just before the upcoming exams. We also experienced the local live of Khanikola and found many friendly people in the village. Ajay, Bina, Emi, thank you very much for your hospitality. It was amazing to collaborate with Oliver and sharing life changing experiences with him. He has pleasant personality, having better interpersonal skills, hardworking and precious adaptation in cross -cultural activities. It was a nice time to work with the childrens. We earned a lot of smiles from the children and it's a really nice atmosphere. The village live was also amazing because you come into the live of the local people. Staying still in contact and I got some nice… read more people as friends. Thank you very much for your amazing presence and involvement in our school project. There are two two aspects in hard to soft in moving term in the life. Your great assistance in building up commanding English in senior wings. We are happy to get you as new family member in global community. She has special quality in cultural adaptation and… read more having open minded. We wish for success in her life. Ajay, Bina and Emi are lovely hosts. They welcome you into their home and their family. The beds are hard, but their hearts are soft. They are pretty laid back so sometimes you won’t know what you are supposed to help with until the last minute, but they will never ask you to do something difficult or that you can’t do. The school is where I… read more spent half of my day and the kids there are great. They are eager to learn and although the school day is more relaxed than I’m used too, the kids are well educated and it was great seeing how much fun school can be. It was amazing to participate with Naoko in our school project, She is open minded with the precious qualities with cultural adaptation. She has actively done the assigned duty and being a family member. She taught Japanese language to the students and helping and supported in all requirements. 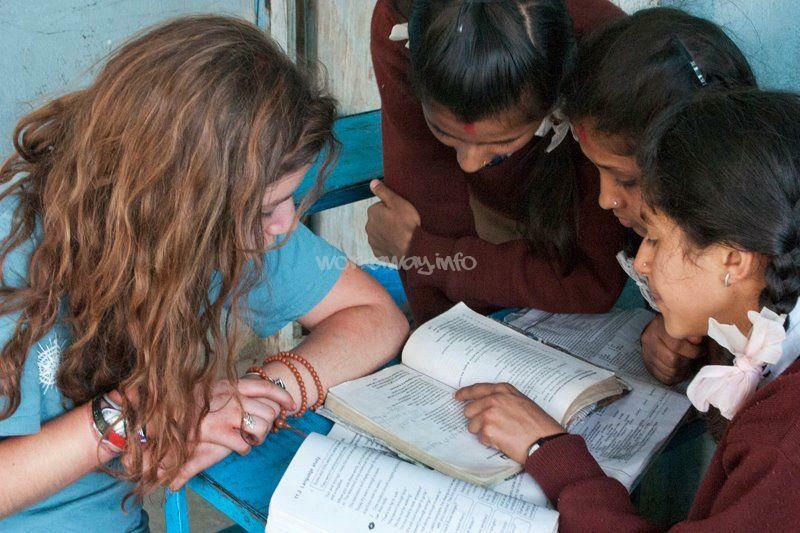 We miss her and we would like to host when she comes… read more to Nepal. Thank you very much for all love and support. Her volunteering is highly appreciated. It was amazing experience to teach at the school and to stay with Ajay, Bina, and Emi. The kids at school are openminded, curious, self confident. I’m so happy that they are interested in Japanese and was surprised how they learn so quickly. It was big challenge to teach in classes as I never had any experience but I never felt much pressure as… read more the atmosphere is laid back, no curriculum, and the students are very friendly. It was very different style from my country and was good opportunity to think about what education is. These are detailed info and I hope it’ll help future volunteer for better preparation. The school is from Sunday to Friday, you’ll have Saturday off. You need to wear something to cover up your arms and legs at school. I taught from 10:15 to 15:15 and you’ll have 30 min lunch break. You can teach whatever you want. I mostly taught Japanese and sometimes music. If you need something for your class, it’s better to get them before come here as you won’t get so much thing in this town. After coming back home and no school day I play with Emi and helped some house work such as cleaning and shopping. Sometimes I helped the family by buying ingredients which doesn’t cost you much. Ajay, Bina, Emi thank you so much for the special experience and I recommend this volunteer to everyone, even if you don’t have so much confidence for teaching. There must be something that the student can learn from you and you’ll learn a lot from them. A little late but refreshing all the time. It was amazing in sharing the experiences and mutually working for better education of disadvantaged children. He is friendly, hardworking and truly focused on human welfare what he can. He has visited for the second time in fact we are connected for ever. Thank you very… read more much for all love and support. A little late but I stayed and volunteered here on 2 occasions and loved it. Ajay and his family are super welcoming and great people to be around for sometime. The kids at school are wonderful and I definitely would come back for a third time if I have the chance. Thanks so much for the beautiful experiences!! It was amazing time with Alison and created the best moment to share life changing experiences with other. She is motivated, enthusiastic, hardworking and having high quality of sense of humor. The time went so fast and willing to meet each other in some point in future. Leave the Place, Keep the memory. We wish her brighter future… read more ahead. My experience at Ajay's house and at the Academy was one that I won't soon forget. The kids at the school were so much fun, so full of life. I wish I had come more prepared to teach, with materials and curriculum to supplement their normal text books. I would recommend anyone volunteering to expect to teach, this will stretch you a bit if you've… read more never lead a classroom. There were times where we wished we'd had a bit more direction as to what we were to be teaching; the style of school tends to be much more laid back than western culture. It was the first experience with Russian people and we had amazing time with Dmitry and memorable events that we made successful. We wish for his better days ahead. It was amazing, exciting, productive, constructive and meaningful attachment with Jack and Sophiee for a short in fact it is not the end just starting. We found them have special quality of diverse adaptation and having keen interest in changing way of education and knowledge. We have no word to express for there involvement and their hand, head… read more and heart are highly appreciable. We wish for your better days ahead. The school itself really touched home with us from… read more the first moment I ducked through the very small gate (small for me, Sophie also managed to bang her head) The children and the environment in which they develop as global citizens is truly amazing. Be prepared to say “hello” at least 25 times a day and have your smile at the ready – although both of which will be no struggle at all, as you’ll learn. When Ajay further explained the concept and ethos behind the school, we fell in love with it all over again. Both Ajay’s and Bina’s ‘never turn a child away’ attitude really hit home with us, having worked with an education provider with the same mentally previously. To say both have a huge heart is an understatement – and it is both who often go without, so others may have just a chance at a better life. Nights were spent talking endlessly about politics, sport, life, religion – the list goes on, eating Bina’s delicious food (although I will add the kitchen ran like a dream on boy’s nights) I can’t recommend sharing your life with these very special people enough. It’s not good bye, it’s I’ll see you soon. We have no words to express how far we enjoyed and shared our ideas. We have good impression on him and 4 months was really short. He is multidimensional and always love to help people. I have been to Khanikhola and to of Ajoy and his lovely wife Bina for more than 4 months. I came in November 2016 and I left in March 2018. I had the time of my life. 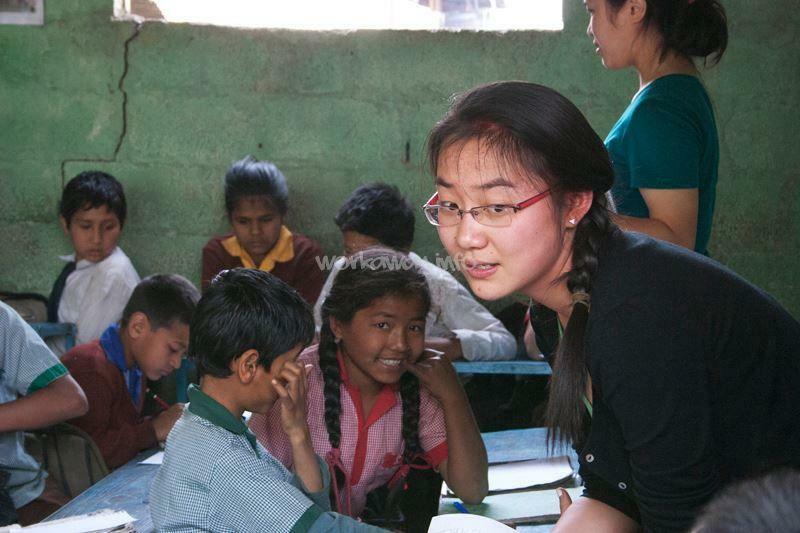 Not only did I found my purpose in life, that is to be a teacher, but I also healed my heart and had an indescribable joyful and… read more blissful time in Khanikhola. Everyday I woke up with a view on the Himalayas, surrounded by blue and green exotic birds and plenty of Nature. Ajoy and Bina's daughter Emi is just amazing. She dances like a goddess and her creativity and her communication skills are excellent. A genius, one of a kind. The 250 children at school are just wonderful, lovely souls with a real thirst for knowledge. I am currently in Vietnam, teaching English, and just now I begin to realize how good the children already were in English in Nepal. The hiking, the short trips, the daily walks up and down the mountain to the school, the many encounters with wonderful humans and animals, with Life in general, everything was incredible. On Ajoy's page of the school you can also find a detailed article about my months at the school and more information of the school and of all the projects. I am still a member of a fund-raising organisation and I help them wherever I can. The soul, mind and spirit of the Nepali people in the village of Khaninkhola are just magnificent. You will immediately fall in love with all the smiles and eyes. Furthermore the hospitality of Ajoy is just amazing. He cares so much for other people and he is a real angel on earth. I found an older brother in him too and we had uncountable talks about philosophy, God, Life, the World and everything else. I enjoyed months full of happiness and bliss. 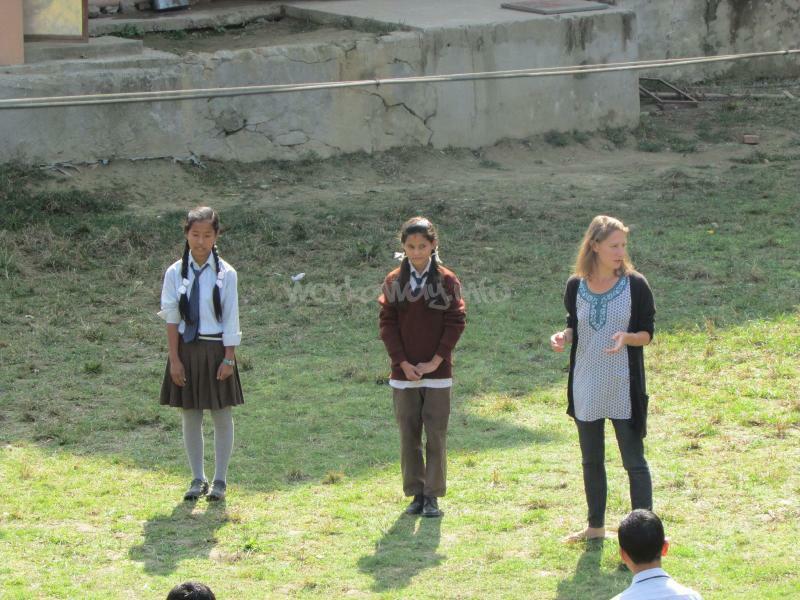 To come to Nepal and to start teaching and helping children my Life finally changed in the direction I wanted it to. It's the best journey and experience I ever had. In general, I fell in love with Nepal. With Khanikhola. With all the sacred energy that is there. It was remarkable event of working together with energetic, enthusiastic, and generous team with recreational way. They have established in our souls and special connection from such a distant and all the activities performed still refreshed in our minds. global Home and school family. We spent an amazing month at Khanikhola with Ajay, Bina and Emmy. It was our first Workaway experience and it couldn't have been better. The hospitality and kindness of the Family made us feel at home. The food, made from fresh vegetables from the garden, is delicious with always a possibility to have it non spicy. You have the opportunity to cook… read more traditional nepali food while listening to some good meditation music. The accomodation is really nice and clean. Our days were filled with laughters and interesting exchanges with the pupils and also the teachers. From the first day, we could see that the students were used to meet volunteers and are very keen to get to know you. The children speak very good english, show a lot of curiosity and engage during classes. Thank you Ajay, Bina, Emmy, the Family and all the people we met who made us discover an authentic Nepal. Thank you again for this incredible month. It was our great connection of spending time with Italian people for mutual love and affection through service. Klaudia and Geo flourished with constructive practicable knowledge and participation with authenticate mission of sharing experiences and achieving how people are surviving in various geographical regions not limited with man made… read more boundaries. We are highly impressed with their qualities and open minded and dynamic with great enthusiasms in life. We strongly recommend people that their participation and involvement in any projects will be highly appreciable, meaning and helpful. We wish for their brighter days ahead, success with value. The kids are awsome, curious, creative and we whish them all the best because they really deserve it! !we've been there twice: we've spent two weeks the first time and less tha a week… read more the second time, where we brought to the kids some school material bought with donations from our families and friends in Italy. Thank you for this experience!!! We are fortunate to host you. We highly appreciated his involvement in our school and family. We found him kind hearted, energetic and open-minded. His all efforts impressed a lot. We wish him for bright future. A Wonderful family! Ajay and his wonderful wife and daughter hosted me on very short notice during the holiday. There wasn't a whole lot of work to do, and I can't complain about that. School was out of session, otherwise I might have helped there. 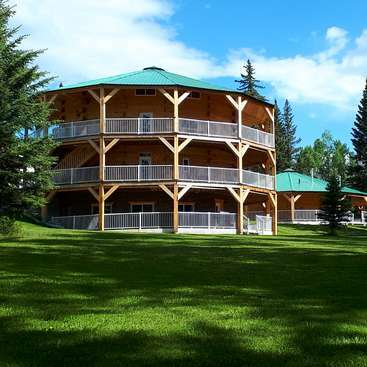 In any event they live on a beautiful hillside overlooking a green valley. They cooked delicious… read more food to share. I was part of the family immediately. They shared their beautiful culture and spiritual traditions with me and I am extremely thankful for the experience. I would certainly recommend. Thank you very much for amazing contribution of your time in teaching and involved in domestic activities. We really appreciate your love and support. We (me and Antonio) had a good experience teaching at Ajay's school. The kids are amazing, very smart and eager to learn about the volunteers also. Although the tasks and the classes we would be teaching couldn't be prepared with advance, they would help us catch up with the last contents they had learned. We stayed at the house, where Ajay and… read more his family also live. We would prepare dinner together everyday together with Bina, who cooked amazing curries with the most fresh vegetables. And their daughter, Emi, is so adorable! We are extremely glad with Jasmine and her constructive works in our kitchen garden. She spent few days at school and she had passion on farming. We have amazing experiences with her. We wish for her an amazing career. I had a great time volunteering at Ajay and Bina's place. 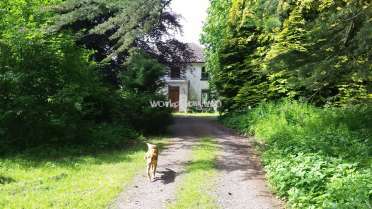 I stayed for a duration of 10 days, and was helping in the fields next to the house, mainly doing some weeding for the garden. Ajay and Bina were really welcoming, I had a great time talking with them, they are really interesting people and really hard working. I was only at the school for… read more a day, but the kids there are nice and are really interested by volunteers. It was nice spending some time with them and see their joy to learn. 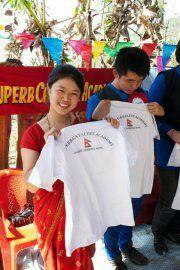 We have amazing experiences and memorable events that directly touches in all aspects during her volunteering. She instantly established with school family and community with her talents. There is no world to describe how amazing my experience in Nepal has been, thanks to Ajay, Bina, Emi and the people of the school. There, you will find more than a exciting volunteer placement. You will find a family, and a place you will never want to leave. I honestly cried my eyes out in the bus after spending one month in the little village… read more of Khanikola and am already thinking of coming back. If you just want to be surrounded by awesome and wecoming people, live exactly like the Nepali and discover a new culture, this place is a must. The kids at school are all playful and curious about foreigners and I came back home with plenty of little brothers and sisters ! We are extremely happy to host Josh and Grassiyana and they helped us in raising wall in front of school and working in labeling the land for new classrooms with earthbag. Thank you very much for all the efforts and support. We came to stay with Ajoy and his family for 3 weeks while travelling through Nepal and are extremely thankful for their hospitality during this time. We learned a lot about earth bag building and Nepali culture. The children at the school and village are amazing and we feel very privileged to join the team and contribute to the work they are… read more doing here. The scenery surrounding the village is beautiful and overall our stay was a lot better than we hoped for. Hosting Grisham is great in all aspects and got the ample opportunity to learn many more from him. His work is amazingly appreciated. We wish for his bright future ahead. I stayed with Ajay, Bina, and Emi for a month, and the experience was nothing short of amazing. 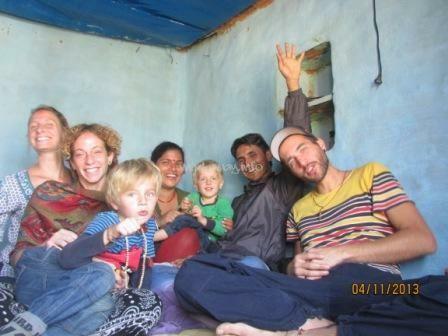 Ajay and his family were unbelievably accommodating and made me feel as comfortable as humanly possible. Everyone associated with the school is visionary in their own right, and I can't wait to visit again sometime in the future! The students at the… read more school are some of the best in the world, and they are eager to learn anything you can share with them or just play soccer or cricket with you. Everything here is just great! If you go, you'll have an unforgettable experience that'll leave you wanting more. My best to Ajay and his family! We are glad to have her helping hands and we were on the progress of new school construction and now we have new school , going well. Thanks for your tremendous support towards the academy. I spent one week here to help to move away the school and teaching to the school. First I have to say that Ajay and Bina were very nice with me even if we didn't spend so much time together like I would have liked. (They were very busy and worried because of some problems for the school). Their daughter, Emi, was so cute. I really enjoyed the time… read more I spent with her! Then the students of the school were very respectful. The classrooms were very small in comparison with Europe but they really listen to you with attention. I think european students have a lot to learn from those students! Thank you for having hosted me and all the best for your family and the school! Manu helped us in teaching the students in the classes and really helped in carrying the construction materials to the construction site of new school. He became the part of our whole school family and instantly touched our hearts and memories. we wish for his every success in his life. If you pass by Khanikola, you have to stop and feel this, even few days!! - real Nepalese life with this Nice Family and some relatives. I like the standard and authenticity of everything, no fake there!! I've just been surprised about the good quality of internet. - People are just LOVELY, Thanks Ajay, Bina… read more and Eminent for your welcoming. Students are so nice too and respectful. - Amazing time in remote villages, thanks to teacher Dinesh and child too. - My first experience teaching, I've done my best at that time!!! I liked it!! I'm definitively sure, this is going to improve so quickly, your project Ajay and dream will be a success soon. I believe in Sustainability also, please keep it as one of the most important point in this school!! and I know it works!! All the Best to all of you and Many Thanks!! See you! He actively involved in constructive works in school and home. We really appreciated his attitudes of sharing, caring and loving in all aspects. looking forward to see him again in new school. Spent one amazing week teaching with ajay and can only describe it as life changing. I highly recommend anyone who has the slightest interest in spending time here to go for it. Thank you to Ajay and his family for being such great hosts. Looking forward to a return visit and seeing the new school building! We had great experiences with Tobias and helped in cleaning, teaching, cooking and being the part of our family. We wish for his brighter future and success in every steps of his life. I had to fantastic weeks with Ajay, his family, the students and also the locals in the village. I helped with teaching and preparing for the exam. You would expect that the kids get used to foreign vounteers, but when I met them they were so exited get to know me, play games with me and even learning me a bit of Nepalise. All the students are… read more eager to learn and students are so smart, most the older ones even smarter than me. I had a fantastic week with at this school. The project encountered some unfortunate circumstances while I was there but I could tell Ajay's passion for education meant that he and the school would rise above them. Myself and the volunteers were very lucky as we were there at the time of a wedding in Ajay's family and so we were kindly invited… read more to take part in the beautiful celebrations! The family home and the meals served there are traditional Nepali spending time there is a great insight to real Nepali life. Thank you so much for your warmth and hospitality! It was really interesting and she adjusted with other volunteers with full of energy but unfortunately she got sick . Infact she involved in teaching. Thank you very much for great contribution. I spent about a week and a half at Ajay's. I was incredibly welcomed by the whole family and the surrounding community (especially the neighboring kids). I really, truly wish I was able to do more for them than I did. Not only were we involved with teaching at the school and given freedom to pursue whatever else we liked (not to mention… read more whenever one of us got sick there was never any pressure to do anything but recover!) we were very much involved in the community and family happenings (library opening, wedding). The work they are doing at the school, while sometimes challenging, is very worthwhile and rooted in genuinely altruistic intentions. Ajay, I meant to write you a report with a bunch of ideas, which I did - I just ended up not giving it to you! I'll e-mail it instead. :) Best of good fortune with everything in the future. God bless you and your family for your kindness and hospitality towards us volunteers. Hosting Kelsey to have sister at home and she actively participated in school works including teaching and helped at house with her best. We found her open-minded , hardworking and capacity of cultural acceptance. We really appreciated her in all aspects and my daughter Eminent missed her sister Kelsey. We wish for her the best in her career and… read more amazing days ahead. Thank you very much for tremendous supports towards our project. 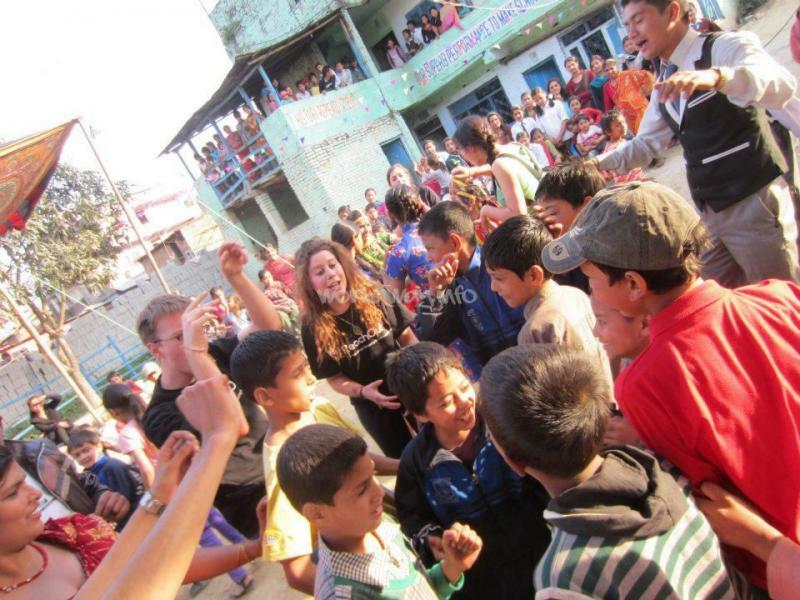 I miss my family in Khanikhola already and cannot wait to return to the school and be involved once again! I spent only about 3 weeks at the school, yet it feels like I was there longer. Ajay, his mom, Bina, and Eme are so welcoming and the students are kind and well-educated. Volunteering here offered an insight into Nepali culture that I found… read more extremely difficult to find anywhere else in the country. Helping at the school was definitely one of the best highlights of my stay, or better yet, my life. I am beyond grateful to Ajay, his family, and the network for this opportunity. Staying with Ajay and his family was one of the most rewarding experiences I have ever had. The students and Ajay were very accepting; I felt like a part of the family! In the school, I helped with classe 5-10. We practiced English and math and even got to learn some agriculture as well. I think I learned a much as them! Thanks to Ajay, Bina,… read more Eme, and the students, I can say I have more brothers and sisters in this world. Come be part of the network too. What an amazing Nepali village life I've experienced with Ajay, his family and the school kids! It's beyond all about volunteering, but about the people, and sharing life with them. The moment I arrived, I was received with warm welcome by Ajay, Bina(his wife), and Eme(little daughter), and the students. They treat you as a member of them, and… read more there are always laughter all around! I felt very fortunate to have been given this volunteering opportunity; it's rewarding cultural exchange, and you learned a lot from daily life through contribution of time, efforts and ideas & suggestions. This is not about seeing what village and school are like, but learning and witnessing how daily challenges are faced and dealt by Ajay and school. You've the chance to see and feel for yourself the true spirit and determination Ajay and his team placed into education, and building sustainable academics. It's no wonder the reviews from other workawayers raved about Ajay and his family; they deserved more than 4 stars! Undoubtedly, many previous workawayers were touched, and were more than glad to stay longer or return and provide further support. My regret is that I couldn't stay longer, and someday, I intend to return! This is a suitable volunteering opportunity for volunteers with keen interest in assisting to build sustainable education, and promote environmental health and awareness. The family, school, and students deserved lots of good help with the ongoing projects and fundraising. Natalie is an impressive volunteer, with delightful open-mindness. We have received beyond simply cultural exchange from her, but her passion in supporting what we do in and for the school. We greatly appreciate her help. We had good chats and discussions, and these provided insights to our coming projects. By all means, she is wonderful to… read more work with and we are glad we'd the opportunity to share experiences together. She became part of not only our school, but our family within such a short time! We all wished she could have stayed longer. We, too,wish her the best of luck. For the first time we got the German volunteer in our school project. We found him cooperative and capacity of cultural adjustment. Students were highly benefitted of his presence. He made bubbles which children enjoyed alot. I wish for his prosperous life. I had a great time here with Ajay, his family, and his school for six weeks. If you're looking to get away from the tourists and experience some real Nepali village life it is a great place. I learned a lot of alternative ways of living that really opened my eyes. The school is a great opportunity to help out the local kids and practice teaching.… read more This is a great place with even better people, I was sad to leave when the time came. I will certainly miss this place, family, and students. Ajay and Bina make you feel like apart of their family and you wont regret coming. We had a constructive, enthusiastic, and fruitful contribution from Leomi and David during their volunteering.. She taught Drama and English lessons to class 10 students. Besides teaching, they helped in cooking, cleaning and painting and working in our kitchen garden where we grow organic vegetables. They helped us physically, mentally, socially… read more and spiritually. They enjoyed our great festival Deepawali and we participated Deausi and Bhaile organized by Lions Club. We would like to give cordial thanks to them. They established in our hearts. we wish for their prosperous life. We had an amazing 4 weeks with Ajay, Bina and Emy. Despite the school being closed for the majority of time we were there (due to scheduled holidays and the election) we had an inspirational experience living Nepali village life. Leomi had the opportunity to teach Drama to some of the extremely enthusiastic and eager class 10 students, who came… read more for lessons at the house and were a delight to teach and learn from. Wen seeing the school open it was a fun, lively and conducive environment to learning, it is a shame about the location of the school and the lack of support from the community as Ajay has amazing visions and prospects for the school and the students, he now needs hthe support he deserves from the community. Hopefully this will be resolved when the school is moved. It was truly enlightening and inspirational to witness the struggles associated with setting up a school in a remote village on very little funds. Ajay and Bina work so hard and the results of their efforts are seen in the success of their students. I hope we can return to the village and work with them again and in the mean time we will continue to support them in any way we can. Thank you Ajay, Bina and Emy, you will have a place in our hearts forever. i had a very enjoyable and enlightening time staying with ajay and his family in his homely house in the nepal countryside. Ajay was a very welcoming host who is extremely enthusiastic in sharing his nepalese culture as well as learning about yours. 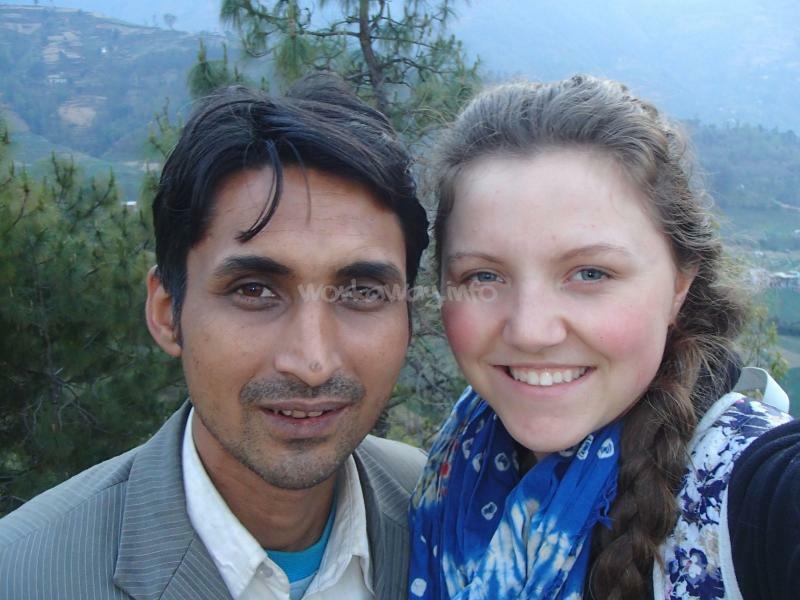 staying with him gave me a really authentic perspective of nepali life and the really tough… read more livelihoods people endure here. The kids at the school are extremely happy and friendly. I had the opportunity to teach english and australian culture to the kids which was a lot of fun. Ajay has lots of vision for the school that has left me very eager to stay in contact and keep contributing to this really valuable project. The location is very peaceful and picturesque and ajay's family is really welcoming, especially his loveable young daughter. Thankyou Ajay, beena and emmy for a really fun and memorable time! It was very nice to stay with Ajay, Bina and Emy! It was great experience for us Family to see how nepaly Family lives and the Kids had a great time playing with the other Kids. 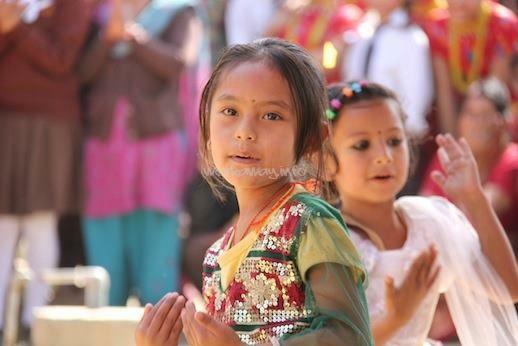 We could learn very much about nepaly culture, dance and live - Happy Dashin! It is very impressive how motivated the Kids are. We did Yoga with the school kids, painted… read more the house or played with Amy and the Kids from the village. Thank you Ajay, Bina and Emy for this Time!